*When visiting venues and events, your children can pick up pamphlets, coasters or any flat, visually appealing object that can be cut and pasted into collage pages in a bound notebook. 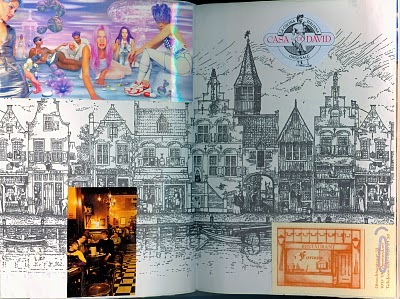 Journal entries, autographs and photographs can also be worked into the layout of these books. 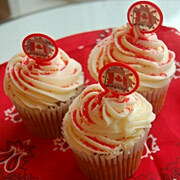 * Create a Team Canada decor theme in your TV viewing area, where you will view the games on TV. Decorate with flags and other Canadian and Olympic objects. If you have children around why not display your stuffed toys such as theirOlympic Mascots. * When viewing special events during the Olympics offer special Canada/Canadian provinces themed treats from time to time such as beaver cupcakes, store bought Nanaimo bars or mini tourtière pies. After visiting a pavilion for a participating country, incorporate some aspect of their cuisine into your meals during the Olympics. For example, try Swedish meatballs, Danish style open face sandwiches, Swiss cheese, German chocolate or French Madeleine biscuits. Since other countries are abstract concepts to children, they often start to appreciate another culture initially by way of the country’s cuisine. * Create Olympic themed decorations for an Olympics party, including torches, medals, and Olympic and national flags. * Check out Fitforafeast.com for ideas about Olympic food, charades and trivia questions. The ideas are presented and approved by children. * Encourage your children to document their Olympic venue and sporting event visits by taking digital photos and (when it is permitted) mpeg videos. They can combine these photos and videos into home movies using readily available movie making software such as Windows Movie Maker. * Children can check out the Vancouver 2010 Olympics Games and Activities page featuring games and craft ideas such as online games, colouring pages, downloadable desktop wallpapers, cut-out crafts and e-cards. The print and fold projects for Miga, Quatchi and Sumi are particularly appealing. * Follow a visit to a country’s pavilion by serving food, drinks or a famous recipe from that country.